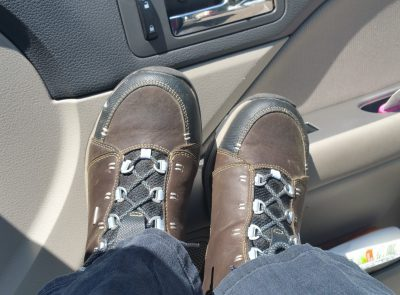 Jim’s been working pretty hard, and I stayed quite busy myself the first quarter of the year. The last six weeks has found both of us taking care of business matters and home chores in addition to work and caring for family. It is important to take time for a bit of fun. 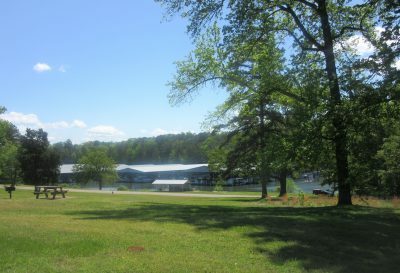 You may have read about our adventure to the Casey Jones Village and Museum here. In addition to this, Jim and I have taken time each of the last three weeks to do something to make us smile. 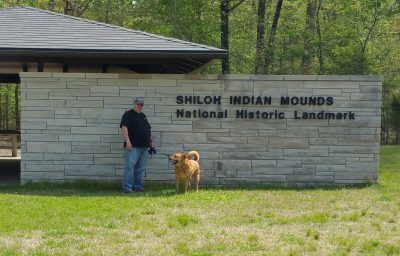 On April 16th, we loaded up the dog and went over to Shiloh National Battlefield Park; there are lots of wonderful opportunities for walking, and we decided to hike the Indian Mounds trail. With hiking boots on, skin covered by sunscreen and bug spray, and with water bottles and camera in hand, we began our trek. 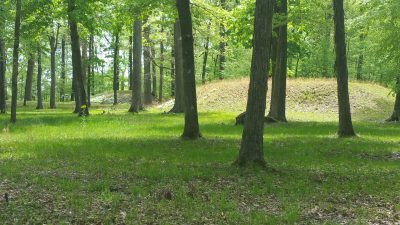 The three of us meandered along the trail and around the mounds, reading the information shared at various sites, finally reaching the largest mound, which overlooks the Tennessee River. 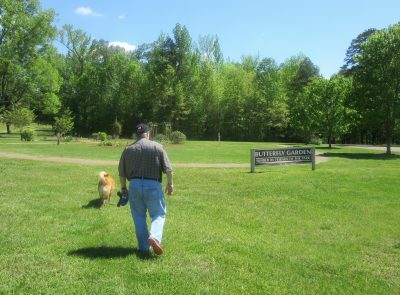 The next weekend, we’d planned to make another hike on Saturday, but due to updates to the hospital’s system, Jim couldn’t work on Friday, so we hiked Pickwick Landing State Park that day since he’d have to work Saturday instead. It was another amazingly beautiful day. We wandered past the marina. 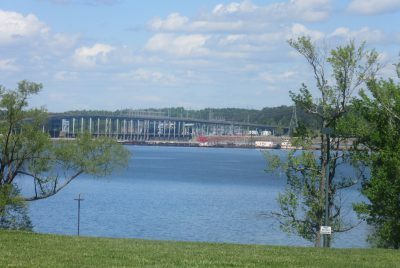 Along the way, we had a great view of Pickwick Dam. Hike done, we head home. 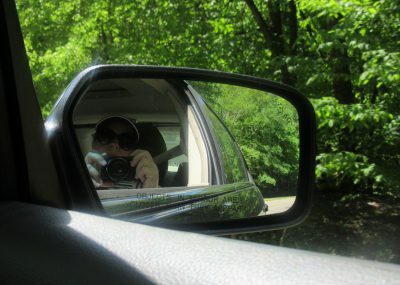 That’s me in the mirror. 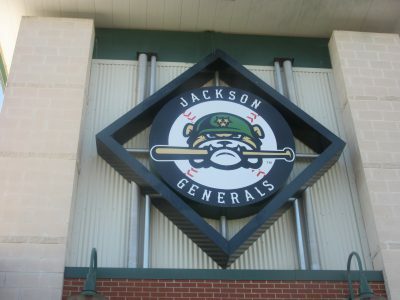 This week, we had planned to go to Jackson, Tennessee, to see the AA Minor League Farm Team for the Mariners, the Jackson Generals, play baseball. Lucky for us, the night we planned to go, which was Thursday $1 night, the weather not only cooperated with no rain, it was also the perfect night to watch a game. Yep, $1 per person admission. 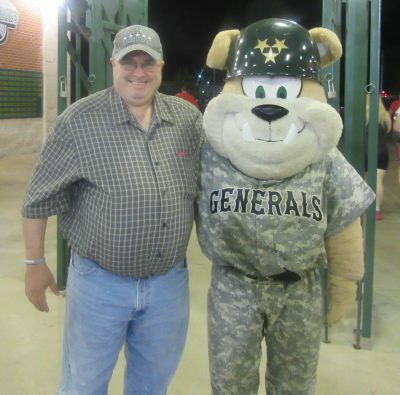 I still haven’t wrapped my head around the fact that the Jackson Generals, both city and team namesakes of one of the former presidents from Tennessee, have as their mascot a bull dog named Sarge. Can anyone explain this to me? Jim with Sarge – Do you think they look like brothers? The ball game experience was a ton of fun on a cheesy level that had moments of excitement; there were two or three praise-worthy double plays. 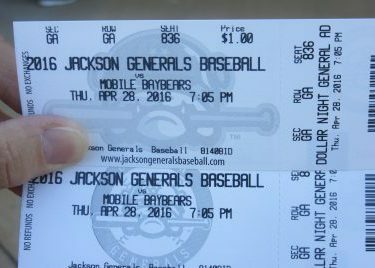 The loss by the BayBears to the Generals was in great part due to the fact that the BayBears left the starting pitcher in way too long, so we saw the Generals with bases loaded many times. Bases loaded often leads to several runs for the Generals. We enjoyed the game while also enjoying an inexpensive supper of $1 hotdogs, popcorn, and sodas (beer also was $1). 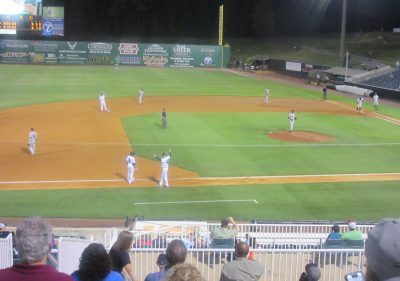 The Generals won 6 to 3. It was a nice date night. 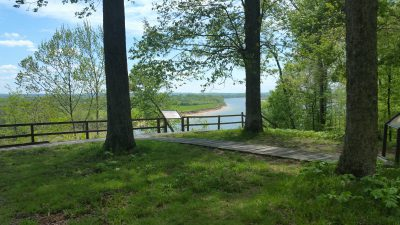 What did our three weeks of fun dates cost us? 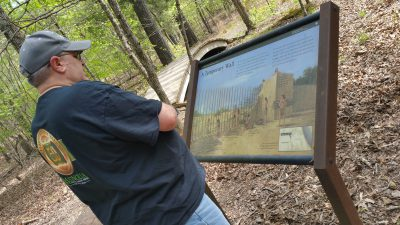 Admission at the park and food and drink for all three outings combined was about $15, which included water for the hikes. The only other expense was our gas to get to our “fun time” location. Who says you have to break the bank to have a great time together? We sure don’t.